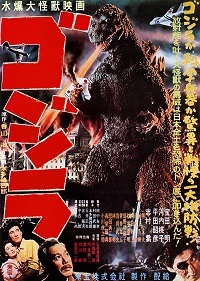 In this episode we tackle the original Gojira, the movie that started it all. Because there’s so much analysis of this movie at so many other places on the Internet, we concentrate on the historical and political references, story mechanics, and cultural significance of this indispensable classic. Our related topic is part 1 of 2 of our discussion of the occupation of Japan. We lay out the basics of the occupation and how Japan was drastically changed. We will address the more negative aspects of the occupation in the next episode. This entry was posted in Podcast and tagged 4k, 4k video, Brian Scherschel, Castle Bravo Hydrogen Bomb Test, Censorship, Cultural Imperialism, Douglas MacArthur, films, Fort Wayne, Godzilla, Gojira, Gojira (1954), Hiroshima, history, International Affairs, Japan, kaiju, Kaijuvision, Kaijuvision Radio, movies, Nagasaki, Nathan Marchand, Occupation Era, Occupation of Japan, St. Mary's River by Kaijuvision Radio. Bookmark the permalink.